Best Way To Reduce Silica Dust? Borrow Eric's Glasses! You may be thinking, who on earth is Eric? ERICPD is an acronym used by health and safety organisations like IOSH and NEBOSH. It is a 6 step risk assessment model to help us prioritise health and safety hazard control measures in the workplace. It stands for Eliminate, Reduce, Isolate, Control, PPE and Discipline. This popular acronym can help us to get a clear focus on the measures required to reduce the health risks of Respirable Crystalline Silica (RCS). 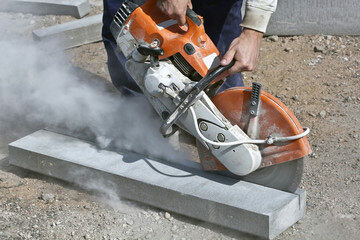 RCS, or Silica dust, is the fine, breathable dust generated when cutting, grinding or drilling Silica, a natural substance found in most rocks, sand and clay and in products such as bricks and concrete. 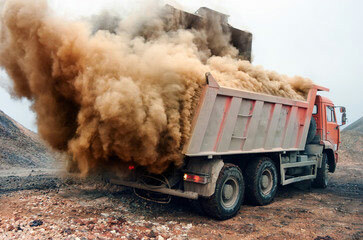 Prolonged or intensive exposure to this fine dust can cause Silicosis, lung cancer or chronic obstructive pulmonary diseases (COPD) such as bronchitis and emphysema. All of these diseases can cause permanent disability or early death, and it has been estimated that Silica-related deaths in the UK number between 500 and 1000 annually. Consequently, RCS has become an increasing focus of the HSE and the consequences of non-compliance with Workplace Exposure Limits (WEL) have become increasingly serious. 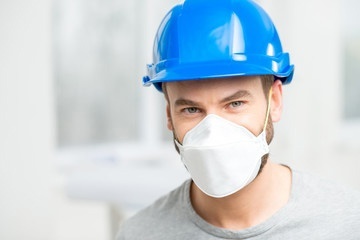 As part of their risk assessment process, many organisations whose personnel are frequently exposed to Silica have now implemented airborne dust monitoring to ensure occupational exposure is below the Workplace Exposure Limit (WEL) of 0.1 mg/m3 respirable dust, averaged over 8 hours. Where airborne dust levels exceed this limit, ERIC PD helps us to prioritise measures to reduce the risks. Reduce the source of the RCS. This could entail reducing the quantity of material we process, reducing our hours of operation, or using a material with a lower Silica content in order to reduce the levels of exposure. You can compare the Silica content of common materials using the table below. Discipline for the ongoing enforcement, monitoring and review of the controls implemented. This can include the implementation of dust monitoring, improving signage, holding toolbox talks and establishing KPI targets and reporting. While ERIC PD was originally developed with health and safety in mind it works extremely well as a tool for RCS risk control. The rationale behind it can help us structure our approach to many other risk mitigation requirements too. You'll notice that as you move down the hierarchy of risk reduction measures, the focus shifts from dealing with the source of the hazard to protecting the persons or environment affected by the hazard. It may seem common sense but it’s surprising how often we can overlook some of the simple, structured steps that we can take to reduce risk in many different situations.